This entry was posted in DAST, Java, Security Test Automation, Uncategorized and tagged Arachni, DAST, Jenkins, ThreadFix. Bookmark the permalink. 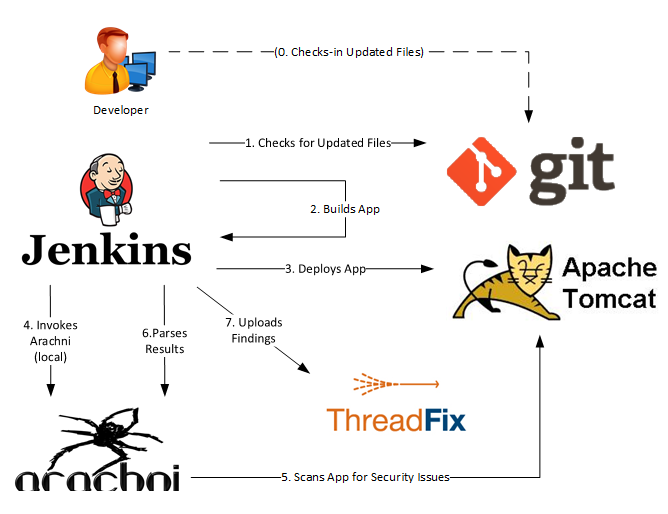 We want to automate Pen-testing with Jenkins and consider using Arachni or OWASP ZAP. Why do you think, Arachni is the better tool, especially for automated scans? I wouldn’t say that Arachni is better then OWASP ZAP. I worked with both tools (as well as w3af and of course Burp that others prefer) but do in fact prefer Arachni for automation. One reason is that I figured that Arachni is really easy to automate. Perhaps this is because it is mainly build for this purpose and provides a good CLI as well as a number of scanning services such as RPC whereas OWASP ZAP main interface is the UI. All these tools are great but can be more or less suitable for scanning a certain websites that requires complex configurations or specific test (OWASP ZAP may be more comprehensive here). In this case the decision is easy. I would not combine different DAST scanners though, at least not if you plan to scan complex sites, because configuration of DAST scanners can get really tricky. At least if you are not putting a lot of effort and expertise in it, DAST scanning will always be a baseline scan that can not replace a manual pentest. Nice blog on security automation , I have one question , how can we reduce false positives during security automation tests ? . 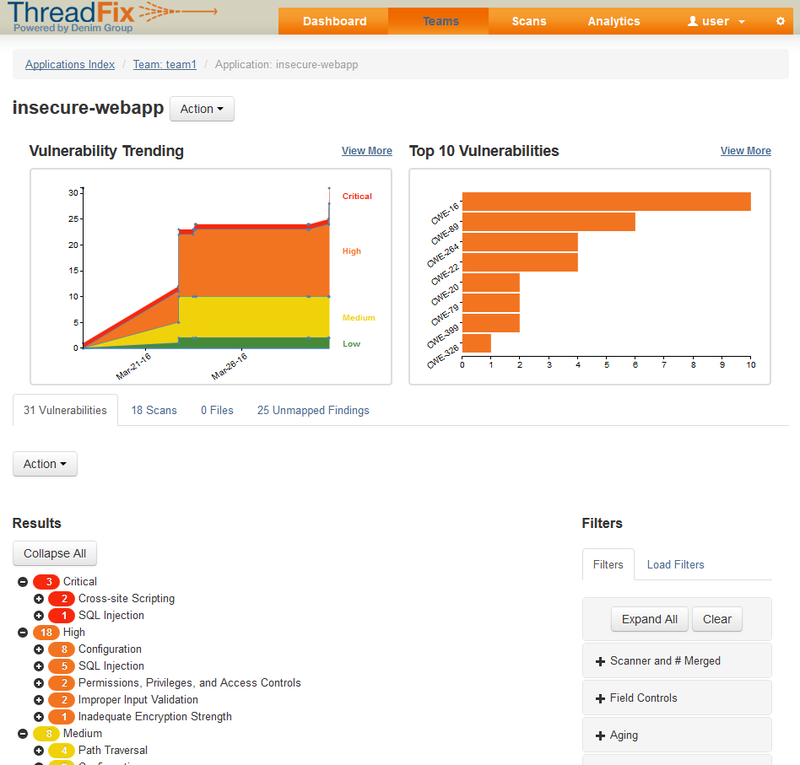 In short, filtering false positives before generating final scan result or parsing Arachini Scanner scan output before storing into ThreadFix database . Is there any way for this ?